Preheat oven to 180°C (350°F). Place the pear and maple syrup in a medium bowl and gently toss to combine. Divide the pear mixture between 4 x 1-cup-capacity (250ml) ovenproof ramekins and place on a baking tray. 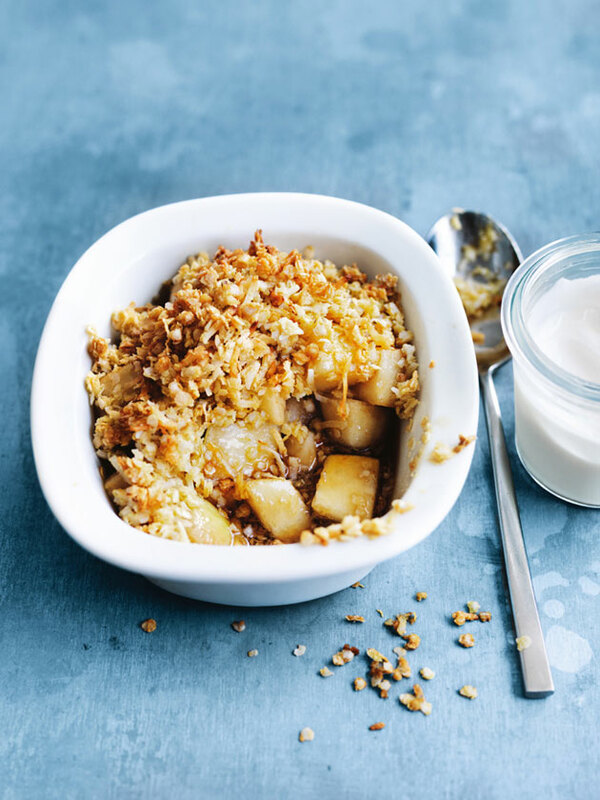 Place the coconut, quinoa flakes, butter and extra maple syrup in a medium bowl and mix to combine. + Quinoa flakes make a great gluten-free alternative for crumbles. Look for them in the health food aisle of supermarkets.